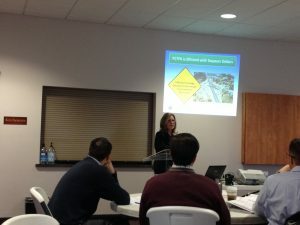 Over the past few weeks I have had the opportunity to speak with several local organizations in the Placer County region about the connection between transportation and our quality of life. I spoke with the Executive Committee about the relationship between transportation improvements and economic development. We also discussed the noticeably reduced traffic in downtown Lincoln since the opening of the Lincoln Bypass in 2012. Did you know, the Lincoln Bypass is the longest stretch of newly built highway in California in a decade! 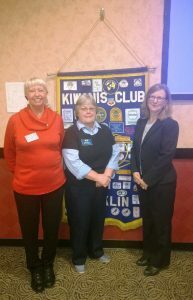 The Rocklin Kiwanis Club is a group of dedicated volunteers who serve their community through service and fundraising. 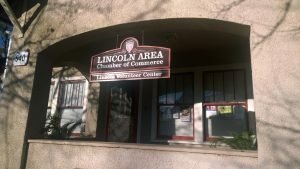 I had the pleasure of attending their monthly lunch meeting with PCTPA Board Chair and Rocklin Councilmember Diana Ruslin and PCTPA Boardmember and Placer County Supervisor Jim Holmes. 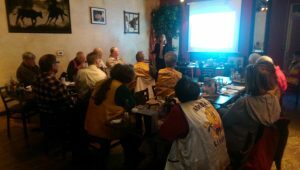 I joined the Lions bright and early for a breakfast meeting. We had an engaging discussion about the importance of improving transportation, and the difficulty of funding it. Leadership Roseville is designed to educate and develop community leaders to tackle complex challenges. We discussed the complex challenge of funding for transportation improvements, and recently completed transportation projects in Roseville, such as the I-80 Bottleneck. 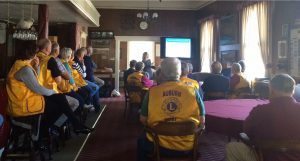 I spoke with Lions from Auburn and Foresthill about long-term transportation needs in Placer County. Last week, I spoke with the Kiwanis Club of Roseville to discuss improving transportation in Placer County, including the plans to fix the I-80 and SR 65, a hot spot for traffic congestion in Roseville.